Medium and Large frame with full length lug. 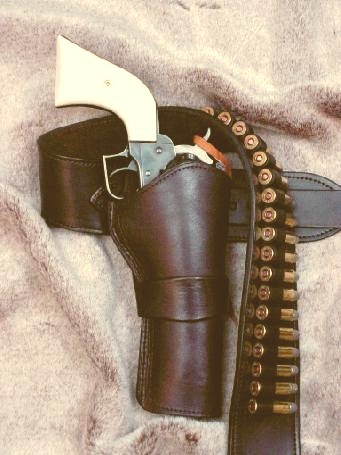 All single Action Army (SAA) 1873 models and their replicas and clones made by many manufacturers for many years. 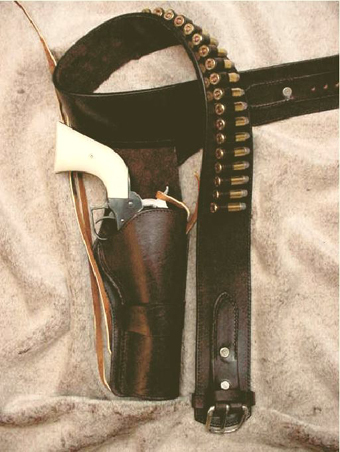 Our holsters fit almost all Medium and Large Frame revolvers with full length lug or extractor housing. 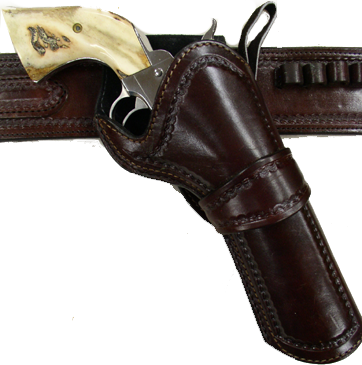 Occasionally an odd revolver may have an unusually large trigger guard that our Standard Holsters will not accommodate. 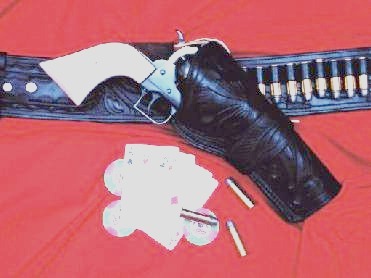 Black Powder Guns - Other than the Ruger Old Army, our holsters do not fit black powder guns of an earlier era. 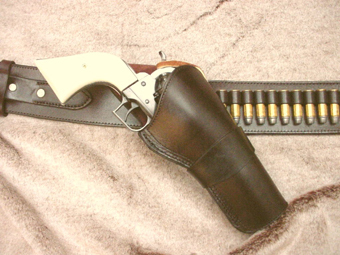 Our stock holster rigs have cartridge loops in all cases unless special ordered without loops. 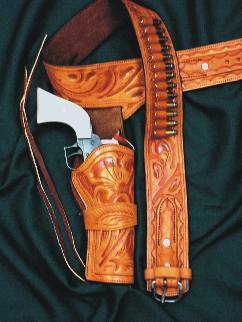 No Scoped guns fit our holster nor do we make one-of-a-kind holsters. 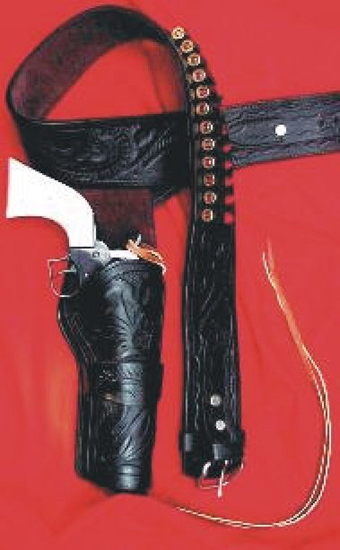 Our holster rigs will fit the following guns extremely well. Click here to see the guns we fit. We have a Large Stock for Quick Shipping. 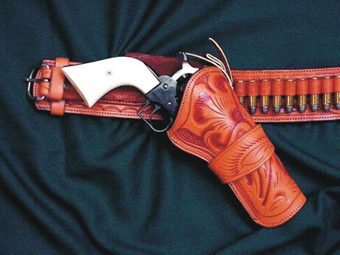 Remember...Like all rigs, the "Vaquero" comes in a double rig too! To match the "Ranger" Single Rig. Remember...Like all rigs, the "Ranger"comes in a double rig too! - Special $115.00 (Reg. $175.00).